*The following steps are only for Magento. Magento2 currently does not use an extension with FarApp. The FarApp NetSuite & ERP Connector extension is compatible with both Magento Enterprise and Community editions. If for some reason you're unable to download the extension using the instructions below, you can download the extension from here. Navigate through System >> Magento Connect >> Magento Connect Manager. Enter the Key you copied earlier into the field that says "Paste extension key to install." NOTE: Sometimes Magento fails to complete installs. 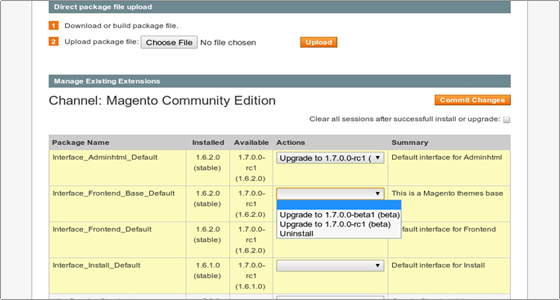 During an install, Magento sets itself in maintenance mode, and if the install fails, you need to clear that. (This is why the extension installation page is available both in maintenance mode and out.) If you navigate to http://YOUR_DOMAIN_OR_IP/downloader/ you should be able to get it out of maintenance mode there. 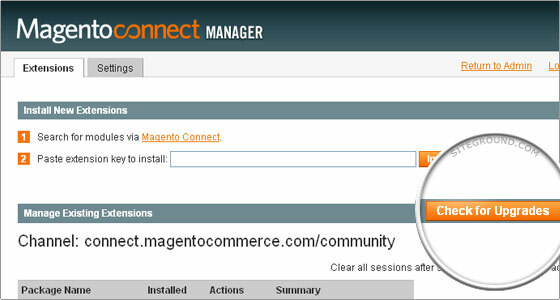 Go to System -> Magento Connect -> Magento Connect Manager. On the Extensions Tab click on Check for Upgrades. Upgrade the FarApp extension via the same manual installation method directly on the server. Uninstall the FarApp extension so you can install the latest version using the regular method detailed in the section above. From the Actions drop-down menu you will be able to select the desired upgrade version. Then click Commit Changes to proceed with the upgrade. You can now click Return to Admin and make sure that your online store is properly functioning and there are no errors.